Have you considered building your real estate business by design to be rewarding, profitable, and fun by identifying and attracting ideal clients? 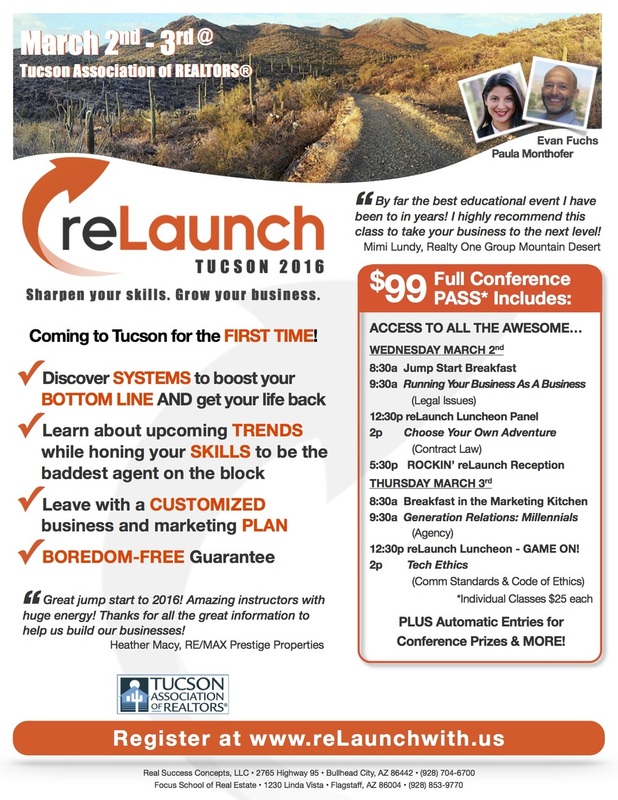 Get ready to roll up your sleeves and reLaunch your business at reLaunch Prescott! Watch out Pacific Northwest! reLaunch is coming back and we can't wait! We are coming back to Prescott! !